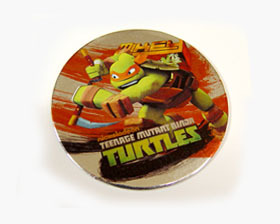 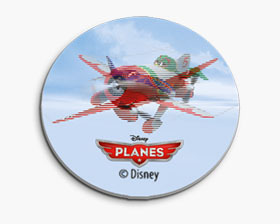 Metallic Tazos can be printed on metallic surface, either on single or double side. 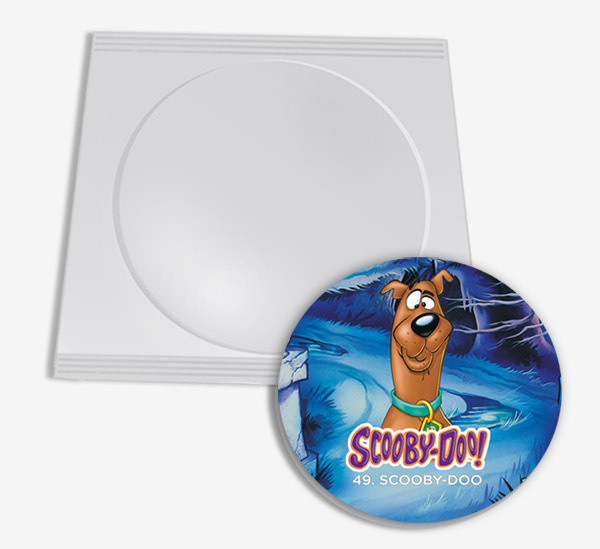 Furthermore, they obey high quality printing standards and they can be designed for collections of various themes. 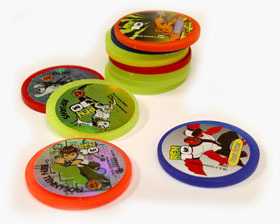 Classic Tazos are made by a thick carton which can be printed in both sides. 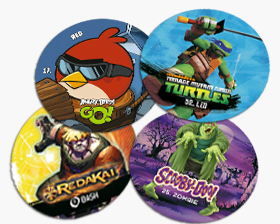 Furthermore, they can include collectible themes or they can have various characteristics according to the game for which they were designed for. 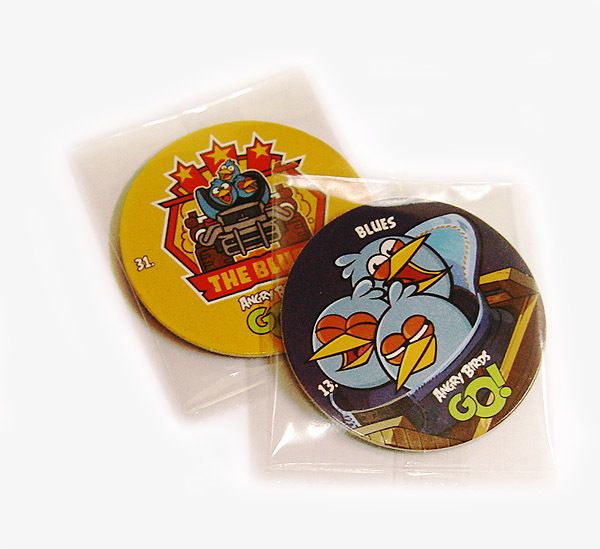 Plastic Tazos are made with thick plastic material and they can have a printings in one or both sides.